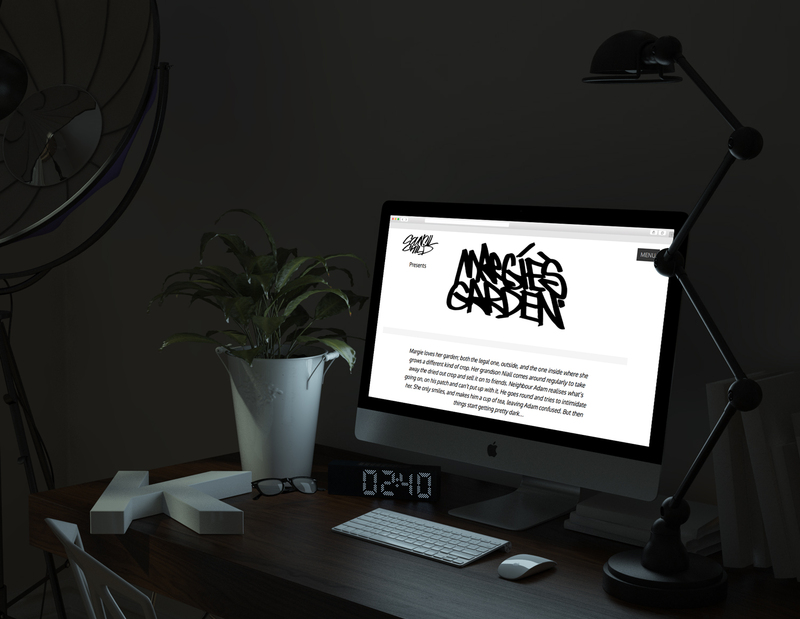 well as a news blog so fans can follow the film-making progress. 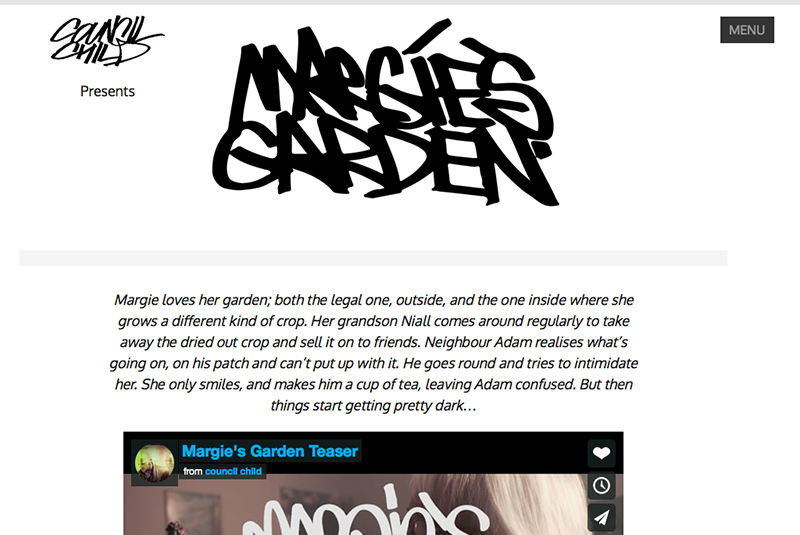 Margie’s Garden is being made on a budget of £11,500, has been backed by Brendan Coyle, star of Downton Abbey, and stars actor Steven Arnold, best known as Ashley Peacock, in the ever-popular soap Coronation Street. 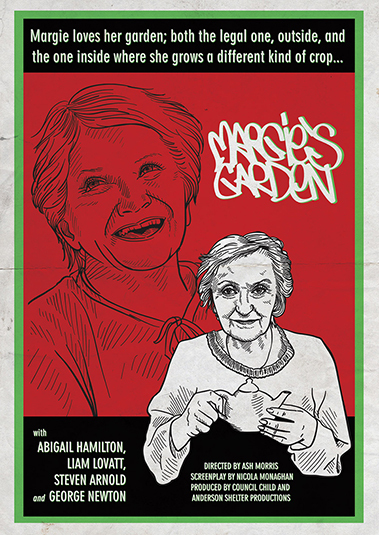 We used Twitter to help Morris promote a successful Kickstarter campaign to fund his latest film, “Margie’s Garden.” For the social media campaign we created fun graphics for others to share on Facebook and Twitter in addition to tweeting regular calls to action for people to back the project. Once funding for the film was reached, Energized Graphics created a responsive, mobile-first site in a minimalist style that fit Ash Morris’ needs and complimented his existing Council Child website. Ash also used our design staff to create a movie poster in the style of a 1930s anti-drug propaganda film. This was given to Kickstarter backers in postcard and full-sized framed movie posters.